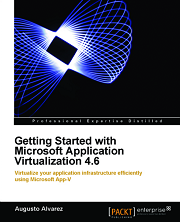 “Packt Microsoft Carnival” is a special offer released by Packt Publishing during May from which you can acquire several Microsoft’s titles with important discounts, including “Getting Started with Microsoft Application Virtualization 4.6” and “Microsoft Application Virtualization Advanced Guide”. 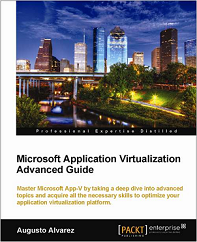 Packt’s Microsoft Carnival includes a variety of titles on App-V, BizTalk, SharePoint, SQL Server, Silverlight, .NET Framework stack, XNA, Forefront, System Center and more. 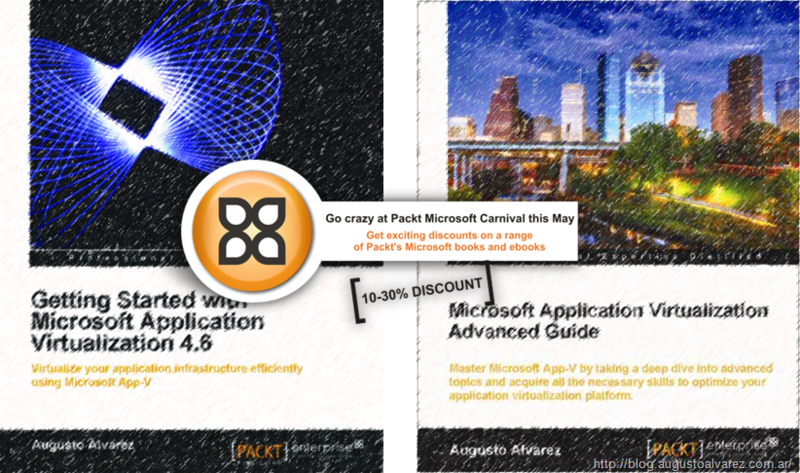 My two App-V books are also available in other stores, but the “Packt Microsoft Carnival” discount only applies in Packt Publishing site.